THE FORTUNE HUNTER (St. Martin’s Press; July 29, 2014) is a brilliant, new novel that explores the irresistibility of the public lives and private longings of grand historical figures. Empress Elizabeth of Austria, known as “Sisi,” is the Princess Diana of nineteenth-century Europe. Famously beautiful, as captured in a portrait with diamond stars in her hair, she is unfulfilled in her marriage to the older Emperor Franz Joseph. Sisi has spent years evading the stifling formality of royal life on her private train or yacht or, whenever she can, on the back of a horse. Captain Bay Middleton is dashing, young, and the finest horseman in England. He is also impoverished, with no hope of buying the horse needed to win the Grand National—until he meets Charlotte Baird. A clever, plainspoken heiress whose money gives her a choice among suitors, Charlotte falls in love with Bay, the first man to really notice her, for his vulnerability as well as his glamour. When Sisi joins the legendary hunt organized by Earl Spencer in England, Bay is asked to guide her on the treacherous course. Their shared passion for riding leads to an infatuation that threatens the growing bond between Bay and Charlotte, and all of their futures. 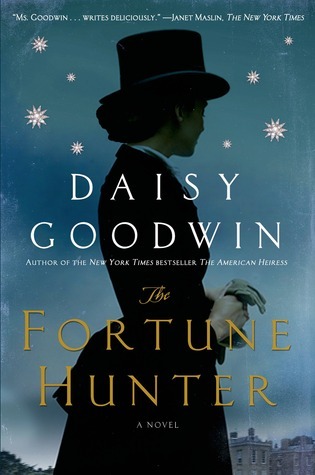 DAISY GOODWIN is the author of The American Heiress. She is a Harkness scholar who attended Columbia University’s film school after earning a degree in history at Cambridge University and is a leading television producer in the U.K. Her poetry anthologies have introduced many new readers to the pleasures of poetry, and she was Chair of the judging panel of the 2010 Orange Prize for Fiction. She and her husband, an ABC TV executive, have two daughters and live in London. You can follow Daisy Goodwin online at Facebook and Twitter.